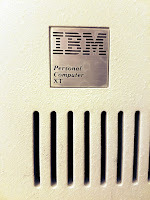 This month actually marks the IBM 5160's 35th birthday, so why not show off my working (and pretty much complete) specimen. This is one of the later models: half-height floppy drive + ST-225 hard drive, 640K motherboard (fully populated), last BIOS revision (05/86). The latest date code on the chips is 8649, so this machine was made shortly before the XT was discontinued altogether. 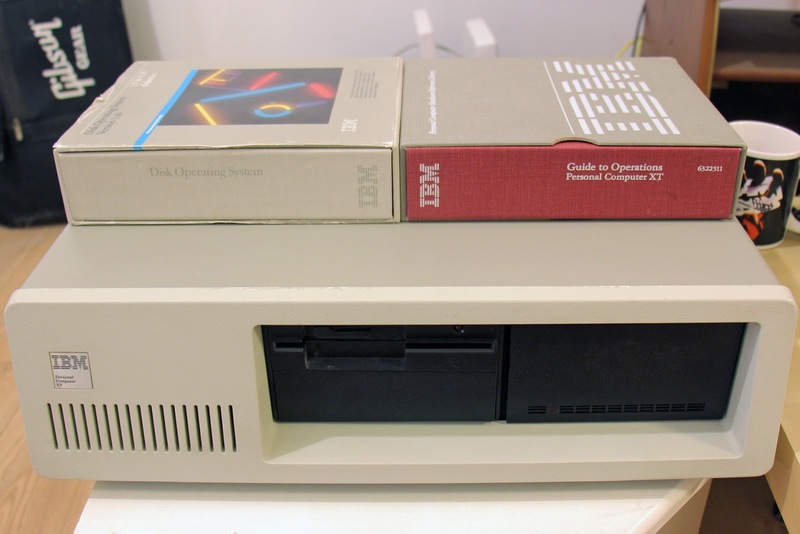 I received this from Trixter, truly a gentleman and a scholar, along with a separate box of stuff to round it out: an IBM PC/XT keyboard, a joystick, some software/games (including a boxed IBM PC-DOS 3.30), and the Guide to Operations. 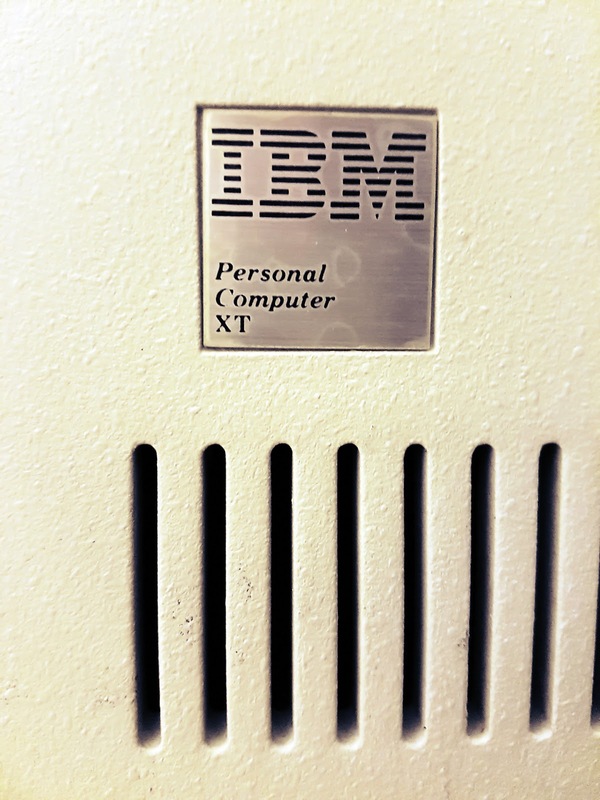 The machine itself is very well-equipped too, complete with an XT-CF adapter, an IBM CGA board, and a Sound Blaster Pro 2.0, but more about that in a bit.